Ed Miller is a name immediately recognizable to nearly anyone who has picked up a poker strategy book over the last decade-plus. As the author and co-author of numerous influential titles like Small Stakes No-Limit Hold’em, No-Limit Hold’em: Theory and Practice, Playing the Player, and most recently Poker’s 1%, Miller has provided a wealth of strategy advice for players of all levels. 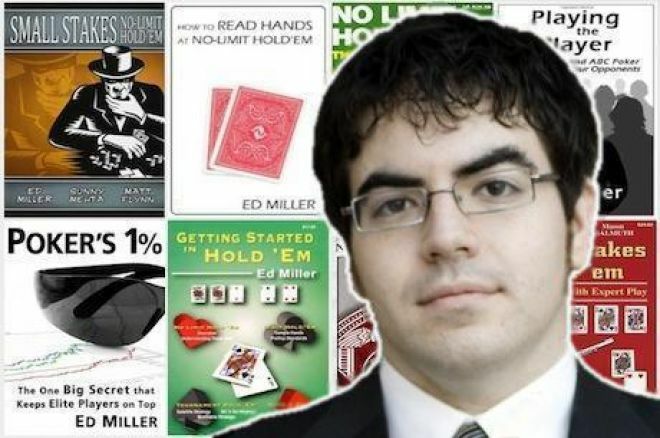 With another book on the way as well as a contribution to the upcoming collection Excelling at No-Limit Hold’em (due out this June), I had a chance to speak with Miller about his past and future projects while also picking his brain for advice about what players can do to improve their games and move up in stakes. PokerNews: You are one of the clearest thinkers and writers in poker. Where did your talent for making poker theory clear and understandable come from? Ed Miller: Thank you. I appreciate that and I do think that’s my niche and why I have been around for 10 years. It’s sad (laughs), but my answer is I’m not sure! It’s interesting because I’ve always been a teacher and actually before I decided I was going to play poker I was actually interviewing for high school teaching positions. I was going to be a high school physics teacher. I’ve always enjoyed teaching and I think I have a knack for it. I used to teach physics at my college. Everyone was required to have two semesters of physics at my college no matter what your major was, and physics is not everyone’s thing, so I became a physics teacher in college. It’s so nerdy, but I would have class in my dorm (laughs). Physics is not for everyone — it takes a certain mindset that most people just don’t have. Do you think the same holds true for poker? Is poker for everyone? That’s an interesting question. I think that poker played at high stakes or even for mid-stakes online is not for everybody. You have to have the right kind of brain to succeed at those levels. Of course there are exceptions, but in general I think that’s true. You have to have a certain way of thinking and a certain type of brain power, especially online. For live low stakes and mid-stakes poker, it’s a different story. First of all, it’s more relaxed. Second, there are more skills that have value. Online you have to have a “game theory” brain. In the live games, there are live reads and other things [that are relevant], so it’s not just a mathematical exercise. There are more paths to success in small and mid-stakes live games. So where among the Ed Miller canon of strategy books would you recommend players begin to start improving their games? I’m coming out with a book called The Course: Serious Hold’em Strategy for Smart Players in April 2015, and that’s the book that I would recommend people read first. That’s actually why I wrote it — because I needed a book that was the first book they should read if they want to see what I have to say about poker. It’s a survey of cash games starting at the $1/$2 level and moving up to the $5/$10 level, and it covers all the skills you need in order from the most basic up to the more advanced that you will need to at least hang in there at $5/$10. Professional No Limit Hold’em [co-authored with Matt Flynn and Sunny Mehta] is the other book that I’ve written that’s good for beginning players. It focuses on a few simple but fundamental concepts that beginners need to really get. Speaking of current projects, you also have a chapter in Jonathan Little’s upcoming Excelling at No-Limit Hold’em due out in June. How does that chapter dovetail with those books? That chapter is interesting, because I was obviously thinking about The Course while I was writing it. The chapter is called “Seven Simple Steps to Moving Up in Stakes and Staying There.” It takes you through the steps that I would recommend you take to determine if you are ready to move up, and then if you are ready it tells you how to do that without getting ambushed and having to move back down with your tail between your legs. Moving up can definitely be tricky and it almost never goes smoothly. So what are a couple of your best tips for someone who wants to move up? The most important thing, I think, is that you are able to fully understand and explain what it is that you do at your current stakes that lets you win money. That’s something that not a lot of people think about. People who want to move up often think about what’s going to be different and I advise them not to worry about that yet. Instead, worry about what are you doing right now to win money and be as specific as possible. Surprisingly, most people can’t do that. When I ask people what is it that you do that makes you win, the thing everyone wants to tell me is some variation of “I fold.” They say “I play tight” or “I get away from hands” and to me that’s exactly wrong because the thing that makes you win would make you more money if you did more of it. That’s my definition of what makes you win. If you could do that thing twice as much, you’d make twice as much money or close to it — and clearly folding ain’t that! Folding is what prevents you from leaking lots of money, and it’s important for sure, but it doesn’t actively create profit. It’s really important to understand very specifically what it is that you are currently doing that creates you money, because that is what changes when you move up. This is a very interesting concept that many new players may not have thought of before. If you can’t figure out how to make money, you are surely going to get hung up! Yes, that is what happens because you’re not going to understand when that changes or why! People ask “How is $1/$3 different from $2/$5 versus $5/$10?” and I say it’s not that different except you get different types of players at each level and, at least here in Las Vegas, you get a swarm of players at the $2/$5 level who will not pay you off no matter what with a second-best hand. At $1/$3 you can flop a set and get paid almost every time, but that doesn’t work at $2/$5. You have to be able to identify that the conditions that make you money change as you go up in stakes. You have to realize that if your profit can’t come from flopping sets and getting paid off, then it has to come from somewhere else. If they won’t pay off, then it means that there are pots you can win by bluffing. You have to realize... now, I have to make money in this other way. My chapter in Excelling at No-Limit Hold’em [also touches on this]… teaching people to observe, because some of the things that work at one level will still work when you move up, but some won’t and you have to adjust and adapt. How about your other recent books, Playing the Player and Poker’s 1%? Where do they fit in? I’d say Playing the Player is the next book I’d recommend reading after The Course. My goal for each book is to give you a couple of insights that will help you get further than you were getting on your own. The goal of Playing the Player is to flip your mindset so you can get the most money out of players who refuse to pay you off. If you are at $2/$5 and they won’t pay off when you flop a set, it can look like the game is poor and that there’s no action, but the reality is you can absolutely win in those games. You just have to have a completely different mindset. You just have to shift the way you think about the game. If someone is giving you trouble or if the moves you used to make are no longer working, it’s time to change up your strategy. Poker’s 1% is about that very thing. When you have a new player type that you don’t understand, usually they are taking aggressive lines — raising the turn, or putting a lot of money into action — and it’s not obvious how to handle them. The goal of Poker’s 1% was to give you the tools to understand those types of players. Find the cracks in their armor and create a strategy that should win money against them. What are your thoughts on the mental game as it pertains to poker? I played full-time for two years and at first I thought it was great to play a game for a living and have no boss. But after two years, I was exhausted and ready to look for a job! It’s exhausting mentally. The things you have to do to be a professional are very difficult. The idea that you have to put in the hours no matter how good or bad you’re running, whether you’re ready to play or not, is very difficult. When I was on a downswing, my impulse was to take a week or two off. After one downswing I took a month-and-a-half off.... I really needed to play because that was my job — but I wasn’t feeling it! When I did play, I won enough that it covered that stuff, but it was clear to me that I was going to have to make changes and improvements in how I approached it mentally if I was going to move up and get to the point where it was the kind of lifestyle I wanted it to be. That was the part I struggled with the most. I’m not an expert on the mental game, but I do feel like I have some insights into it. It’s obvious to me that the mental game is critical for anyone who wants to play professionally. There’s no doubt that the game is extremely trying mentally for everybody. There’s not a pro player out there who’s going to say “you know, the mental game is no big deal to me.” I’ve never heard anyone with that kind of attitude. Everyone has some kind of struggle with the game and what it does to your confidence, and if you completely depend on it for your income it’s extremely stressful. Besides the new book and chapter, what’s next for Ed Miller? I really enjoy the writing lifestyle and I love giving players value with my books. I’ve written nine books on poker and people always ask me how can there be so much to write about poker, but honestly a thousand books could be written on poker! I’m hoping to be a writer from now on. Of course, I write about poker and I’m interested in poker, but I’m potentially looking at writing on other topics, too. Much thanks to Ed Miller for taking the time. 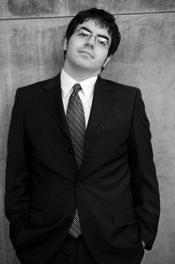 Find out more about Miller and his books at his website, edmillerpoker.com. He is also does coaching at Red Chip Poker. Dr. Tricia Cardner is the author of Positive Poker with Jonathan Little, available in paperback, audio, and e-book formats via D&B Poker as well as through the PokerNews Book Section. She also co-hosts The Mindset Advantage Podcast with Elliot Roe, available for free on iTunes, and you can follow her on Twitter @DrTriciaCardner.